A homegoing (or home-going) service is an African-American Christian funeral tradition marking the going home of the deceased to the Lord or to heaven. It is a celebration that has become a vibrant part of African American history and culture. As with other traditions, practices, customs and norms of African American culture, this ritual for dealing with death was shaped by the African American experience. The history of the homegoing service can be traced back to the arrival of African slaves in America. Early during the slave trade, slaves believed death meant their soul would return home to their native Africa. They were not allowed to congregate to perform any kind of ritual for burying the dead because slave owners were fearful the slaves would conspire to create an uprising during any such gathering. Later, in an effort to control the slave population, slave owners introduced slaves to white Christianity to placate and subdue them. The Old Testament stories of God and Moses freeing a captive and enslaved race resonated with the slaves. The New Testament stories of Jesus and promises of glory in heaven and a far better after-life allowed slaves to forge through the turmoil of mortal life and look forward to the day when they would return home to the Lord. They fully embraced Christianity and death, for slaves, was viewed as freedom. Their death rituals were jubilant and it became one of the earliest forms of African American culture. At the beginning of the twentieth century there were few, if any black funeral homes. Survivors of deceased blacks were forced to depend on white funeral homes for embalming if they agreed to service them. Jim Crow laws and white bias required blacks to enter these white funeral homes through back doors and basements, a degrading experience that added to the tragedy of losing a loved one. Although the embalming was mostly done by white funeral homes, the homegoing service took place in the black Christian church. The churches began forming burial societies to collect money for funerals. 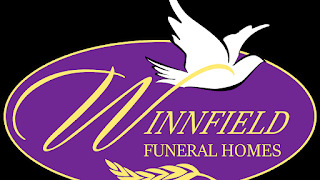 Black businessmen who opened funeral homes during the early-to-mid-twentieth century saw not only a business opportunity, but a way to help the community. Funeral parlors were among some of the first black-owned businesses and the black funeral director was a trusted friend and neighbor in the community. The tradition of the black community funeral director and the support of the black Christian church exists in many black communities today. A homegoing service follows many of the same practices as a funeral service. There are pall bearers and flowers and the service is typically held in a Christian church. But, because African-American Christians believe death marks the return to the lord and an end to the pain and suffering of mortal life, the homegoing service is an occasion marked by rejoicing because the deceased is going on to a better place. A homegoing service is sometimes reminiscent of an African-American Christian church service. In addition to the eulogy, there is often a sermon and a choir that sings gospel hymns. The service often allows for friends and family to speak briefly about their remembrances of the deceased. Homegoing Service goers may experience both mourning and rejoicing.